Interview: Matt Sydal talks about his favorite tag team partners in WWE. 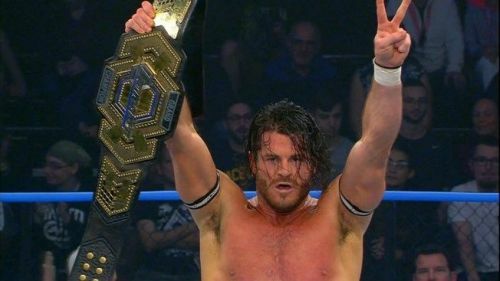 Matt Sydal, previously known as Evan Bourne during his run with WWE, is a former WWE Tag Team Champion and has held a multitude of belts across different promotions over the years. He is currently the X-division Champion in Impact Wrestling and I got a chance to converse with Matt during a telecon. SK: Namaste Matt! There is a good crop of X-division stars right now, young athletes coming from different countries. If you had to choose one protege, one person you could take under your wing, who would it be? Matt: Wow! That is a great question because I really think that is a great way to bring up wrestlers. Proteges and young boys is the system in Japan and it's great to develop a system like that. The guys that have caught my attention recently are guys like Desmond Xavier. Their drive and focus is very good. If they are so good at this age, they have a lot more potential. They are even inspiring me to do better. If these guys are so good at 24 or 26, imagine how good they would be at 30. SK: You have talked about loving Tag Team wrestling, and had a great run with Kofi Kingston back in the day and Ricochet as well. So who is your favorite tag team partner of all time, who did you enjoy working with the most? Matt: My favorite tag partner of all time.. are two guys: Mark Henry and John Cena. I loved my dynamic with Mark Henry and if he hadn't injured his shoulder we would have had a great run as a tag team. Mark really brought out my real personality, he is such a genuine guy, he helped me feel comfortable and relaxed. And then teaming with John Cena is the same as Tanahashi, it's just very special everytime it happens and in the ring with a guy like that, you are always learning. Only Sportskeeda gives you the latest Wrestling News, rumors and updates. 5 current WWE superstars and their old tag team partners: Where are they now?